Socks and Puppets, the comic » 24HCD – a 24 page comic drawn in one day. 24HCD – a 24 page comic drawn in one day. This is the first page of my 24HCD entry for 2011. I’ll be updating daily over the next 24 days with a new page from the challenge – but if you’re keen and want the lot, you can grab the files here. And that’s where Tessa comes from. 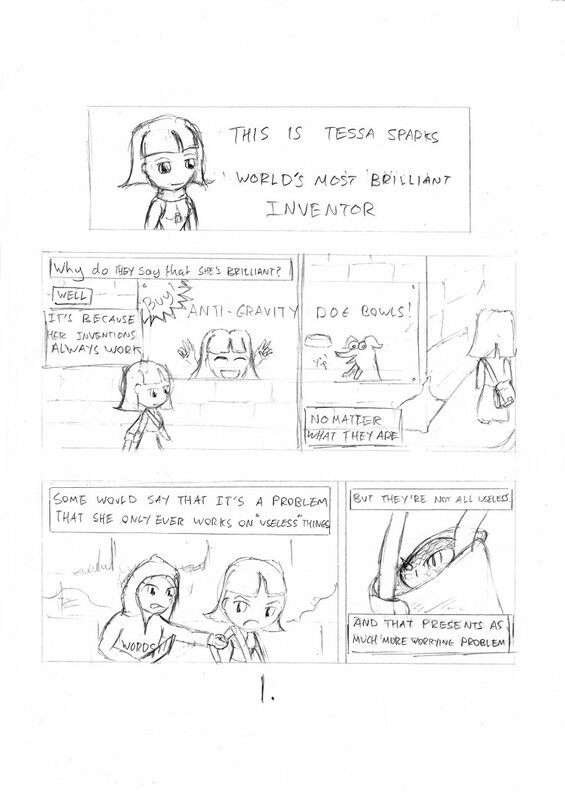 Tessa is a bit scrappy in panel 1 here, because this image of her was the one I drew to design the character. Re-use everything to save time! I’d like to encourage everyone to post comments as we go along, so that I can learn better for next time. Socks and Puppets, the comic - 24HCD – I’ll tell you later.